Wine Bar George is the only Master Sommelier-owned wine bar in the state of Florida. The “George” in Wine Bar George is Master Sommelier George Miliotes. Miliotes was previously best known in the Disney culinary scene as a member of the opening team of the Contemporary Resort’s signature restaurant, California Grill. The 210-seat wine bar offers more than 130 choices by the ounce, bottle, and glass. A menu of small plates and shareable entrees — created in partnership with Executive Chef Ron Rupert — complement the wine selection. Sneak Peek and Review! 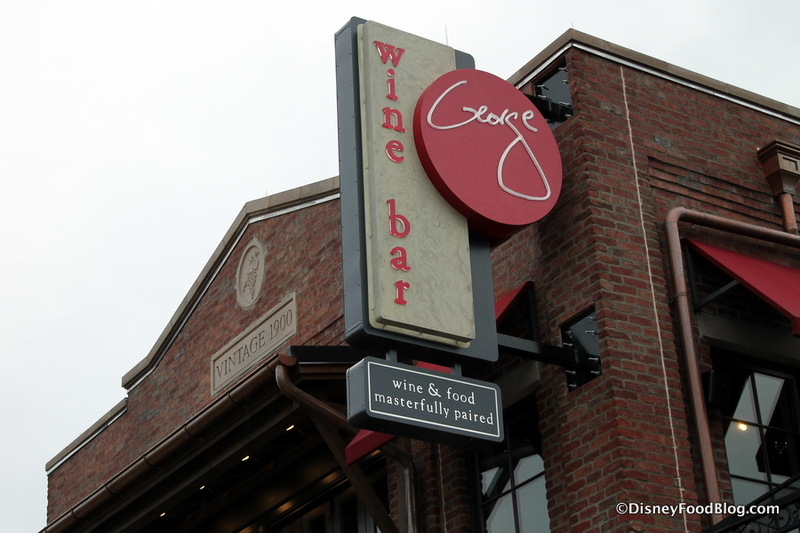 The NEW Wine Bar George in Disney Springs! Wine Bar George is located across from Jock Lindsey’s Hangar Bar and next to Raglan Road. Walk-ins are welcome; however, the space also accepts Advance Dining Reservations. Not enough time to linger at Wine Bar George? The Basket at Wine Bar George provides a Counter Service option with takeaway picnics and more.